I am one of those moms who enjoys spending my time off with my girls. I was always a work at home mom although last month I took a position with a company I’ve always dreamed of working for. While I love my new job and I’m so excited about it I also know that I need to find more ways to spend time with my girls. One fo the things we have always loved to do is spend time at the pool. Luckily having access to own our pool means that I can spend time outside watching my girls have fun while also getting a few moments to myself. I recently found these OREO Chocolate King Size Candy Bars on Rollback for only $1.00 at my local Walmart. OREO Cookies and Milka Chocolate come together in this amazingly delectable chocolate bar. It’s soft and delicious plus I added my favorite new book to the mix to sit down for a relaxing me-time moment. The OREO Mint Chocolate King Size Candy Bar at Walmart is that perfect go to sweet treat that I do allow myself to have without guilt. My girls love OREO Cookies so naturally they just had to try them too. Luckily the kind size bars are on Rollback and they’re perfect for sharing. I’m a big fan of simple things. It doesn’t take a lot to create a meaningful moment with my kids. 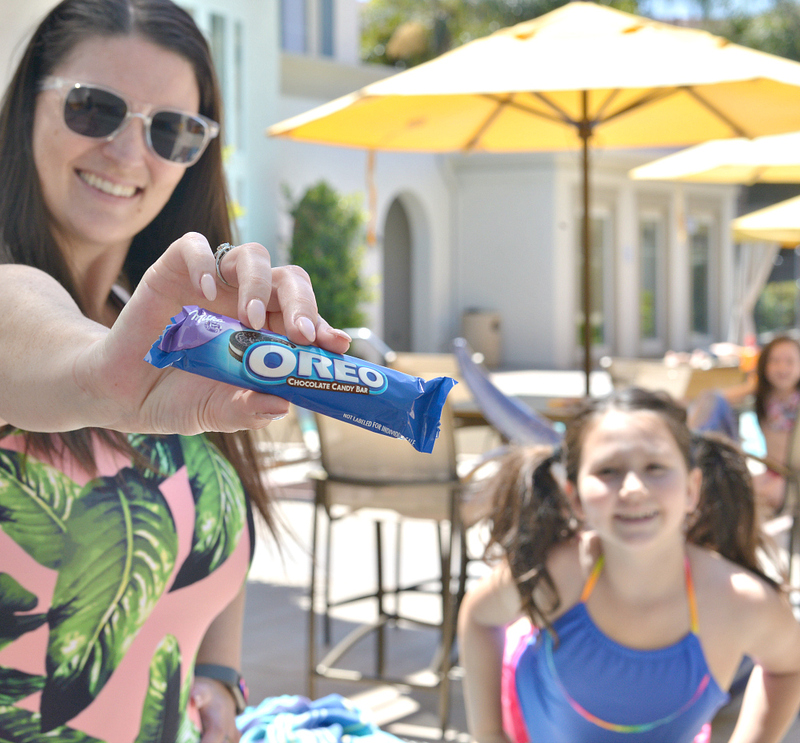 Something as simple as enjoying a sweet treat by the pool. It’s also about taking time for myself to enjoy these moments too. What are some ways you enjoy simple me-time moments?